You like to meet Guy´s at the Gay Beach, just go. Beach deck chairs and umbrellas can be rented from € 2.50 per day. 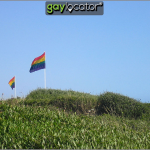 keywords: “Dunes”, “Beach”, “Gay”, “Dunas Gay”, “Gay Beach”, “Gran Canaria”, “Maspalomas”, “Playa Del Ingles”.